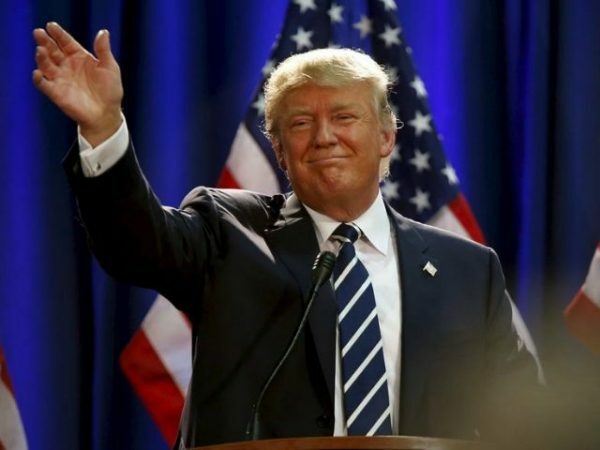 Republican nominee Donald Trump will become the 45th president of the Untied States after he surpassed Hillary Clinton and received over 270 electoral votes early Wednesday morning. Trump’s win was called by the Associated Press, and various other outlets, after he received 276 electoral votes from Indiana, Kentucky, West Virginia, Oklahoma, South Carolina, Tennessee, Alabama, Mississippi, Kansas, North Dakota, Texas, Wyoming, Arkansas, Louisiana, Montana, Missouri, Ohio, Florida, Idaho, North Carolina, Georgia, Utah, Iowa, Maine, Pennsylvania and Wisconsin. During his victory speech Wednesday, Trump began by announcing that Clinton had called to concede. Clinton notably did not take the stage at her campaign event in New York, and instead sent her campaign chairman, John Podesta to speak for her. At the time that Trump reached 276, Clinton had 218 electoral votes. Five states with 44 electoral votes had yet to be called.